It's been a wild, fibery weekend - with more to come this week and next. Thursday night was the Ravelry Party at Unwind (see post below). 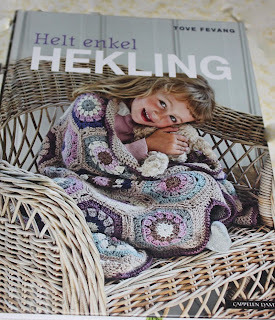 Friday was a Tunisian crochet class at TNNA; the best part of the day was meeting a teacher from a new-to-me shop in Santa Monica and a woman from Norway, who just happened to be a published crochet author. She admired the Tunisian hooks hubby made me, so I gave her one. 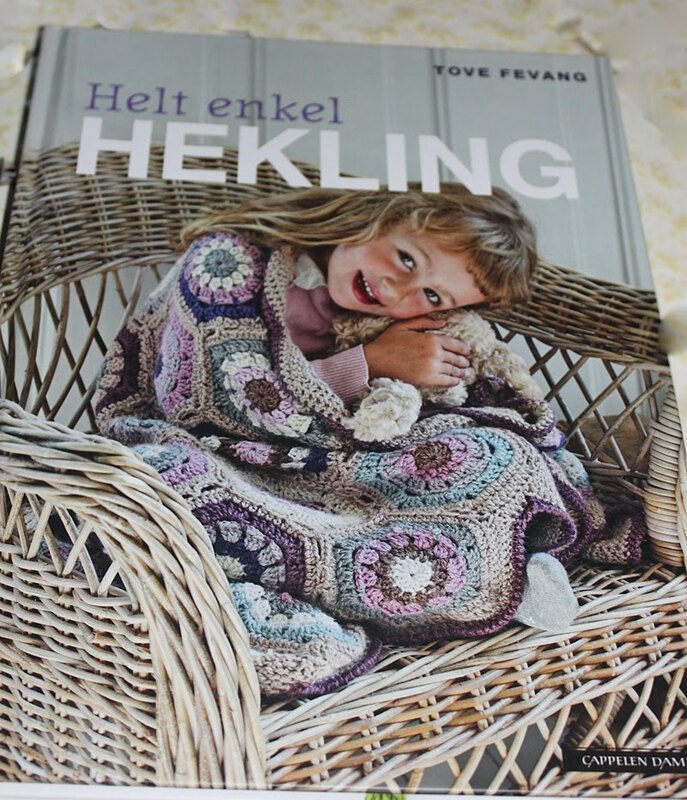 And she gave me this - It's in Norwegian but the English version should be out in March. I love it! 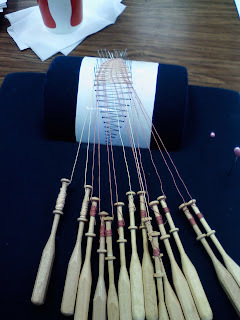 Sunday, a buddy and I volunteered at the SWA booth (Spinning & Weaving Association) at TNNA. We spent about half our eight hour shift walking around, talking to vendors, picking up samples and drooling over all the new products that will be in stores soon. We both came home with two big bags stuffed with goodies. And we got to spin when we weren't walking around. Win-win! And for the next week or so? Tonight was the first meeting of the new year for my bobbin lace group. Took two 'newbies' with me and they both loved it. Nothing makes me happier than enabling helping others start new habits hobbies. 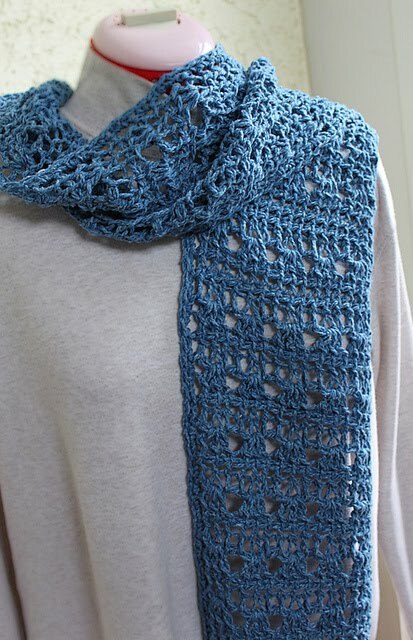 Tomorrow is the first of three classes to make Elizabeth Zimmerman's knit Pi Shawl. I'm a bit nervous about knitting that much lace, but I'm determined to become a better knitter this year. And the teacher is fantastic. It'll be fun just hanging out with her and the two buddies I roped sweet-talked into taking the class with me. 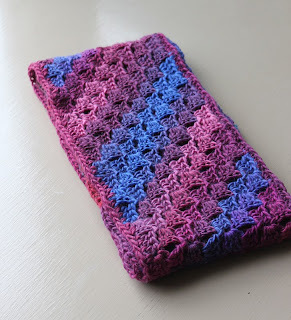 And finally - next Tuesday night I'm teaching the Starlight Tunisian Scarf, my own design, using Tunisian double crochet. I love the drape of this, plus it looks great on both sides, making it totally reversible. Once the class is over - and provided I survive the week - this silk and wool beauty will be on it's way to Rach. Your scarves are so beautiful! I sure wish I could attend your classes but it is too far to commute from Texas! You have very lucky students! Good heavens...you do understand that you are SUPPOSED to be retired, right? I am just jealous. Funny you should mention that you want to knit more this year; I said the same to Ellen on Sunday. Wish we had a decent teacher in this valley! I made the Starlight Tunisian scarf recently and I'm absolutely in love with it. 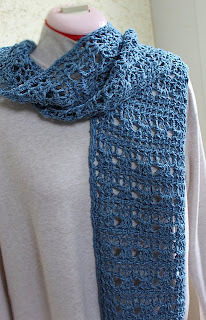 You've gotten me hooked on lace AND Tunisian crochet!